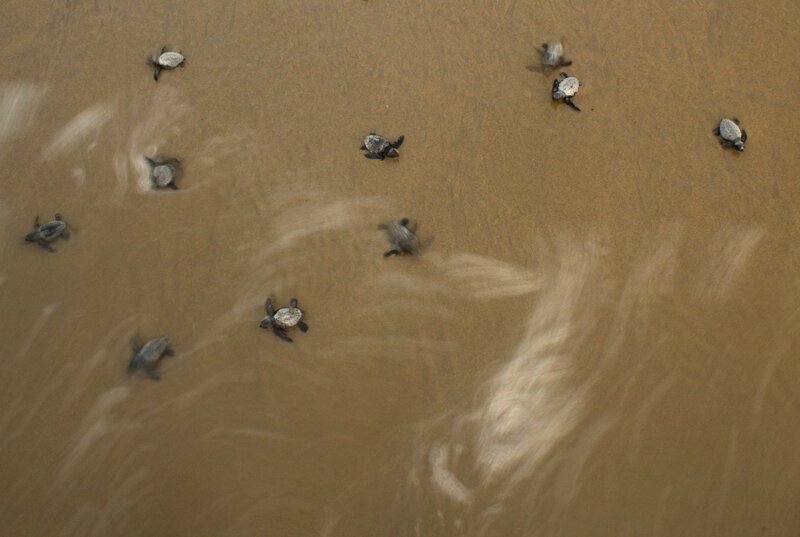 Scattered across more than a dozen beaches on the Indian coast, are the extremely threatened non-arribada sites of Olive Ridley Turtles. 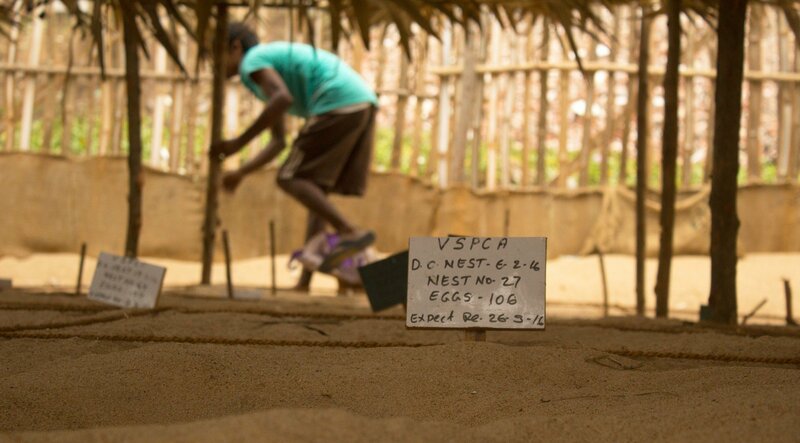 Robbed of the protection of nesting in masses, these sites are subject to low hatching rates due to a plethora of man-made and natural threats. From predators to poachers to feral dogs, the nests and the hatchings have to endure significant dangers to make it back to the sea after hatching. 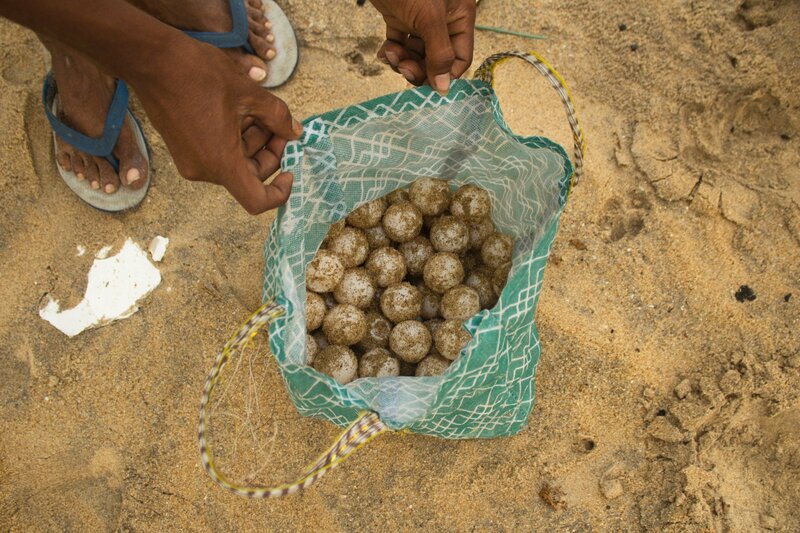 However, in few beaches local conservators have started in-situ and ex-situ conservation of nests to ensure that the nesting efforts of the mother Turtle doesn’t go futile. 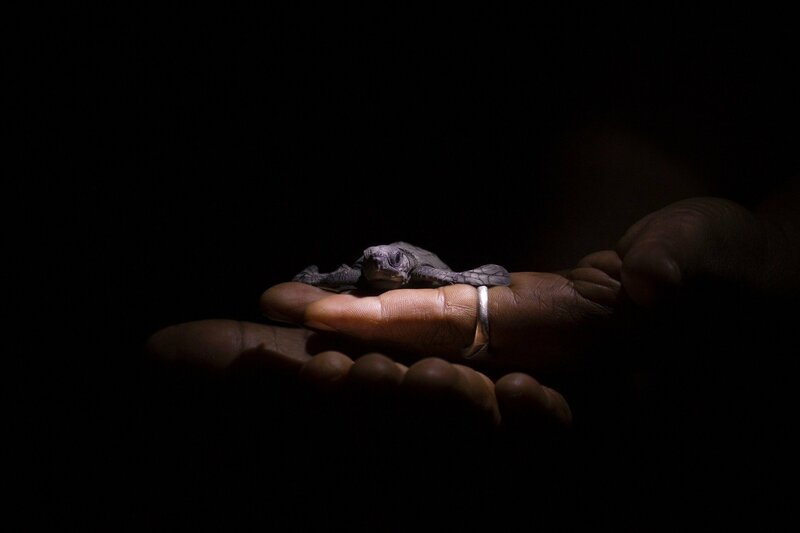 These images were made at one such conservation sites on Indian coasts. Since, the sites did not have an abundance of nests, I had to wait for weeks checking every morning and evening to see if any nests had hatched that day. Every now and then, after close to (or more than) 50% of the eggs had failed to hatch, a small batch of hatchings would finally emerge from under the sand to crawl back to the sea. 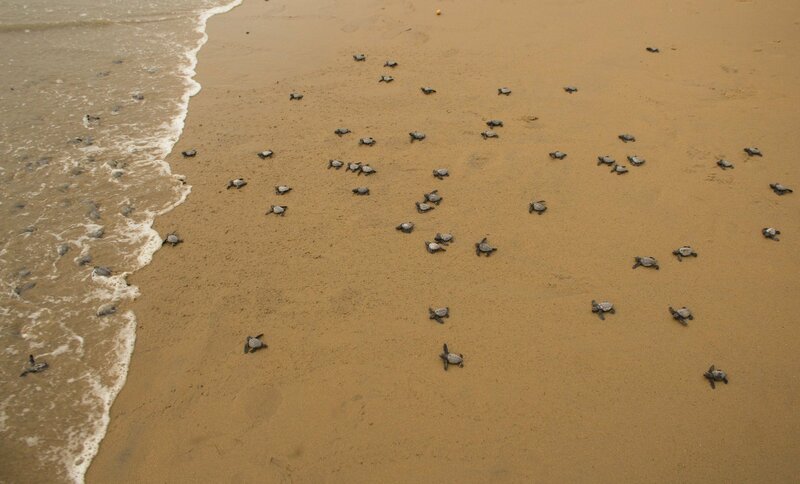 Through the efforts of the local conservators, non-arribada sites on several beaches have now started resulting in very successful hatching rates. These species, however, are still threatened by loss of beach habitats, trawlers chopping through fins and fishing nets. They often end up being the by-catch of fishing and despite proven data of a meagre loss of about 6% catch in using low by-catch nets, the authorities refuse to implement the usage of these nets against traditional ones.